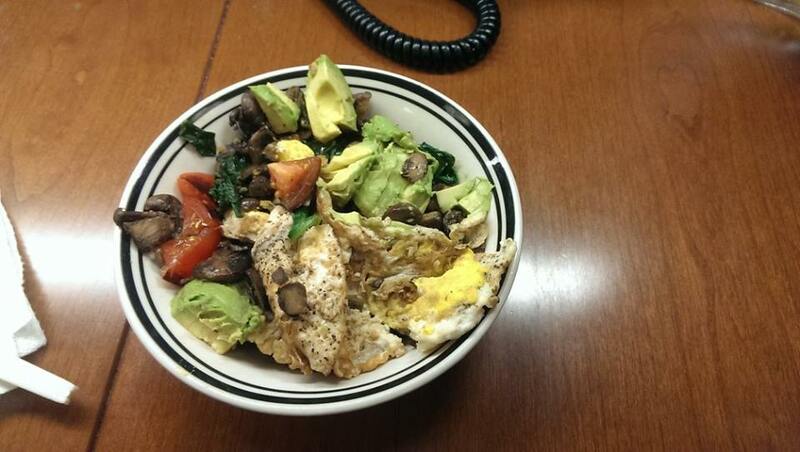 Every Friday, I post a photo sent in by a reader and offer feedback and comments on the meal. This is YOUR CHANCE to have your meals critiqued by a real live nutritionist. 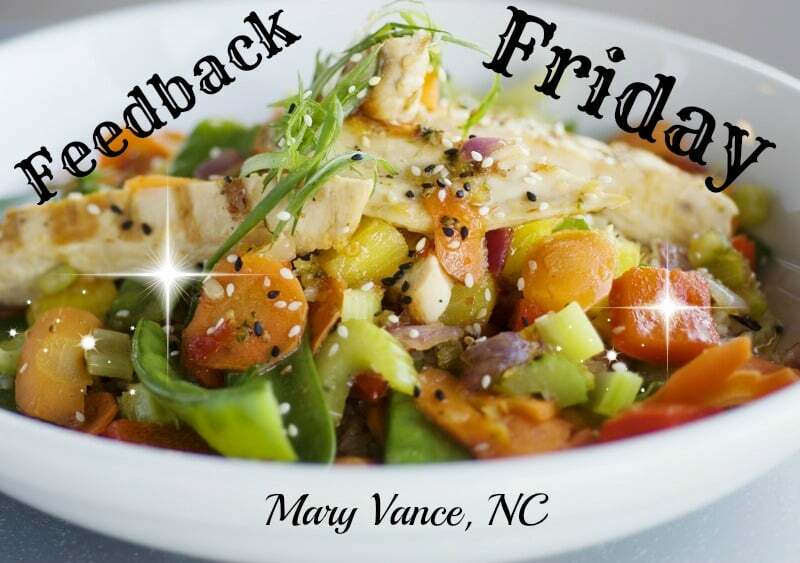 If you’d like to participate, email your photo to feedbackfriday@maryvancenc.com with a description of your meal. I’ll choose a new one each week, so make sure to check back every Friday to see if your meal was selected! Follow me on facebook for more details and reminders. you mention this is your “daily breakfast.” If this means you’re having this or a variation of this (eggs, avocado, veggies) every morning, I say mix it up a bit. Yes, eggs are great, but we need a variety of proteins, and it’s easy to get stuck in the breakfast egg rut. It’s best to rotate foods in and out, because eating certain foods every day increases your chance of developing food intolerances to that food. Try my eggless hash, or click here for more breakfast options so you have variety. I say add some raw kraut on the side for good probiotics and enzymes to help digestion. I use FarmHouse Cultures brand that I get from Whole Foods. Wondering if the cauliflower is left over from the previous night’s dinner? That’s one of my time saving tips: incorporate last night’s leftovers into today’s breakfast. Overall, this is a good meal. Cauliflower (and all cruciferous) are great to support liver detox pathways, and the leafy greens (spinach, kale) are antioxidant and mineral-rich superfoods.